It is now clear that the government is unable or unwilling (or both) to disinvest Air India, since it has begun talking of a revival package and tranches of funds’ infusion into the loss-making airline. The first tranche is a sovereign guarantee for the national carrier to raise loans up to Rs 2,100 crore and in addition, it will also be getting Rs 860 crore of equity infusion. Additional tranches of funds’ infusion are being worked out as part of a revival package, Civil Aviation Secretary R N Choubey has said, promising the package before the month-end. This would obviously be in addition to the earlier revival package approved in 2012 under which the airline was to receive close to Rs 30,000 crore in equity support besides other financial help to stay afloat. Of this earlier package, more than Rs 28,000 crore has already been pumped in and the latest round of funds’ infusion is in addition to the earlier package, which has obviously failed to revive the airline. 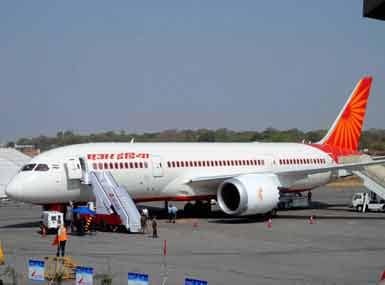 Global aviation consultancy CAPA has correctly described the small tranches of funds being released by the government for Air India as ‘drip feeding”, just sufficient for the airline to stay alive, rather than providing one-time infusion that would enable it to implement meaningful changes. 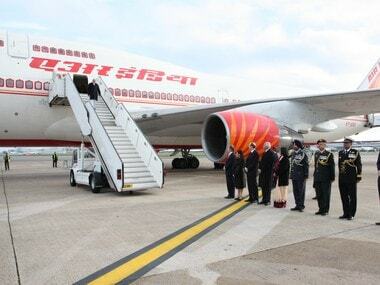 CAPA has also noted that Air India’s value will continue to erode, “making future privatisation unlikely. In the absence of full recapitalisation and a clear direction, Air India is likely to see a continued decline in its domestic and international market share, and head towards strategic irrelevance.” The consultancy has forecast $2 billion combined losses for the airline in the current fiscal and the next. And this could be a conservative estimate. The trouble with government’s handling of Air India remains as always its reluctance to get out of the business of doing business. Why does it want to run an airline, when private airlines themselves are struggling in a high-cost environment and Air India has a small share of the domestic market pie? Disinvestment has obviously been too tough to handle, why not break up the airline – as was envisaged earlier – and at least sell-off in parts? If the government has in mind a long-term, viable plan for Air India, then it is long overdue. The logic the government has been giving for funding the losses of Air India afresh seems to be preventing further 'value erosion' since it continues to stick to its earlier line of defense: Air India selloff will happen, the plan has not been abandoned, merely postponed. As soon as oil prices stabilise and other macro factors like depreciating rupee, etc., are normal, the selloff process will be started afresh. Even if one believes this government lollipop, actions such as stripping the airline of unviable, non-core parts and tackling its debt pile need urgent action. The fresh revival plan being devised this time apparently includes hiving off subsidiaries of Air India and a large portion of its debt into a Special Purpose Vehicle (SPV). This SPV, by the way, was created last year itself but the transfer of non-core assets and the debt has not happened till now. When asked what the government plans to do with the debt that will be housed in the SPV, senior officials have made vague references to reducing it by selling-off properties and other non-core assets of the airline. But if there is a concrete plan for all this action on the Air India front, it has not been spelled out until now. 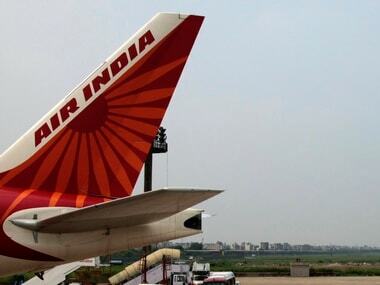 The on-again-off-again disinvestment plan for Air India and its ultimate failure has affected the airline’s functioning, said an airline official asking not to be named. 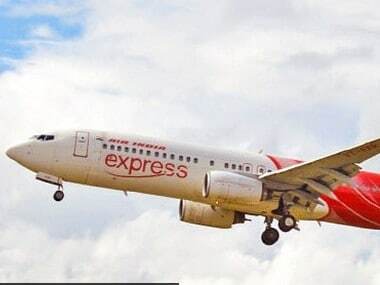 The official said that during the entire process of disinvestment, the government had put all the funds for infusion on hold and this has created problems for the smooth functioning of the airline. “During those months, there was no equity infusion, no major decisions were being taken. The airline suffered”. Not a single bidder came forward till the deadline set by the government to offload 74 percent stake in the airline and the disinvestment process has been put on hold thereafter. 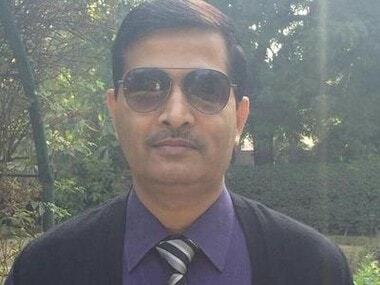 Another senior official, meanwhile, said that of the Rs 2,100 crore guarantee the government has provided, loans against Rs 1,500 crore have already been raised to pay off vendor dues and take care of salaries for employees. The fresh equity infusion is “money in our hands, much needed”. This official also revealed that the airline’s debt has been mounting from about Rs 47,000 crore at the end of fiscal 2017-18 to the current Rs 55,000 crore. He blamed rising fuel prices for this dangerous increase in debt, saying cost-saving measures are already in place at all levels of the airline. As for grounded aircraft, this official said the number remains at 17 as of now but would improve as “funds have now come in and we can pay vendors for aircraft parts”. The official declined to comment on whether there is any plan to expand the fleet given the bulging order book of all other Indian airlines. Secretary Choubey has said that Air India has some pending aircraft deliveries and whether there is a plan to further augment fleet would be known once the fresh turnaround plan is approved by the government. Unless a quick, long-term plan for Air India is devised by the government, the airline’s performance is likely to continue to worsen. A senior airline official had said earlier that the net loss for 2017-18 would be about Rs 3,900 crore, “an improvement over the previous fiscal” but that these were unaudited numbers. He said the top line would be close to Rs 24,000 crore. Remember, in 2016-17, the unaudited net loss was Rs 3,643 crore but the final, audited figure was a much higher Rs 5,675.16 crore. Even if we take the unaudited, lower net loss figure, the airline lost over Rs 10 crore on an average each day of 2017-18 despite benign fuel prices for 7-8 months of the last fiscal. The same official had said the fuel bill was Rs 7,500 crore in 2017-18 versus Rs 6,300 crore the previous fiscal but was expected to breach Rs 10,000 crore in the current fiscal due to rising global prices. It is clear from these numbers that Air India faces many headwinds now.